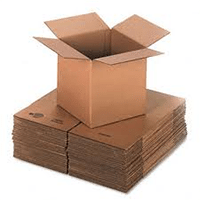 The large box that we offer at Moving Ahead Services is built from durable cardboard that will resist tearing, collapsing, or caving in. Our large box features dimensions of 18” x 18” x 24” and stands at 4.5 cubic feet to hold all sorts of fairly large or more spacious items. The large box is ideal for linens, pillows, lampshades, books, certain electronics, and small appliances. By using the large box, you will be able to keep such items safe from any sort of dampness, dust, or other possible damage that could be experienced while on a vehicle and you will be able to rest easy knowing that your belongings will get to their new home in one piece. When it comes to packing your belongings, it is often difficult to gather the necessary boxes. One usually has to scrounge up used boxes from the basement or grocery stores or harass friends and family for any boxes they have to offer. 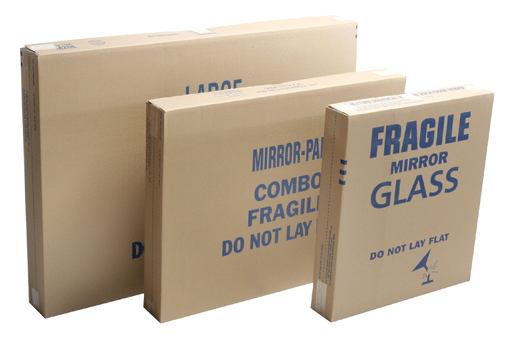 By resorting to previously used boxes, your items are more likely to be damaged during the move, as the used boxes will have reduced strength to protect your belongings with. 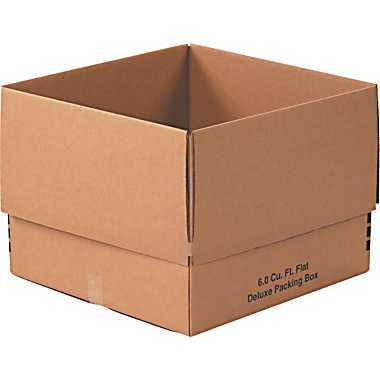 By purchasing our large boxes, however, you will get freshly made, strong, thick boxes that will have no problem providing a safe container for your possessions.